April is Financial Literacy Month and Family Mint strongly believes in the importance of teaching children about money so they can understand saving, investing, credit, etc. Financial literacy empowers children to make wise financial choices, meet financial goals as adults, and improve their quality of life. Spring is a great time to review your finances and take a look to see where you are and how you can improve. Here are some great tips and resources for improving your family’s financial situation and also teaching your kids about financial literacy. A FREE program of the nation’s certified public accountants to help Americans understand their personal finances through every stage of life. Jump$tart is a coalition of diverse financial education stakeholders who work together to educate and prepare our nation’s youth for life-long financial success. Recommended as an initiative from the President's Advisory Council on Financial Capability. The initiative offers 20 essential, age-appropriate financial lessons—with corresponding activities—that kids need to know as they grow. Financial education (publications, newsletters, toolkits, podcasts, calculators, and more). 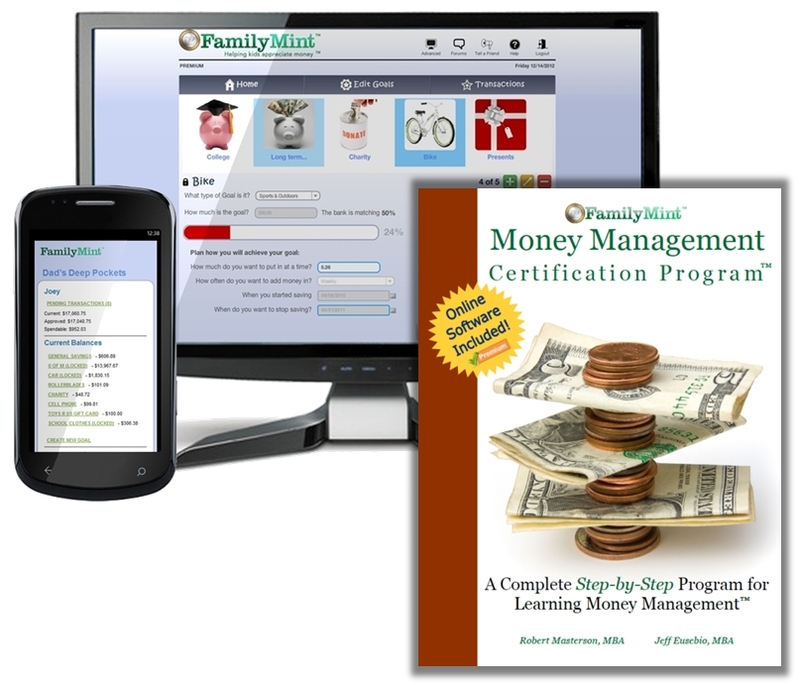 FamilyMint is dedicated to helping parents improve financial literacy through their fun, educational, intuitive, and award-winning online money management application. FamilyMint has helped thousands of parents raise money-smart kids by teaching children about financial goal setting, and forming the types of financial habits and behaviors that will lead to financial success. How much you should be saving. How much you make and how much you spend each month. What your credit score is. How to pull a free credit report. How much house you can afford. What constitutes a financial emergency? What your ideal retirement should cost.